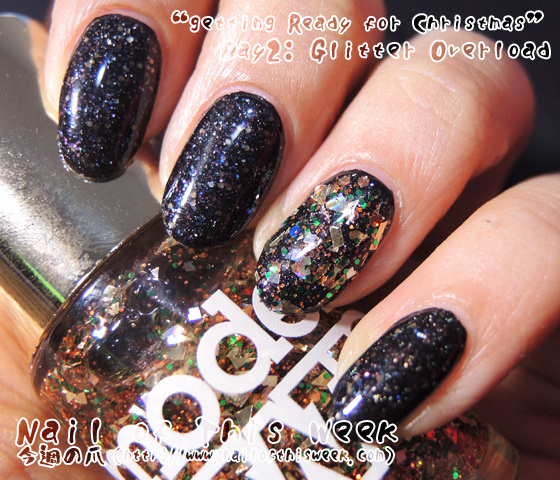 Grfc Day2: Glitter Overload : Nail of This Week. 2nd theme of get ready for Christmas challenge is “glitter overload” which made me think about for seconds. 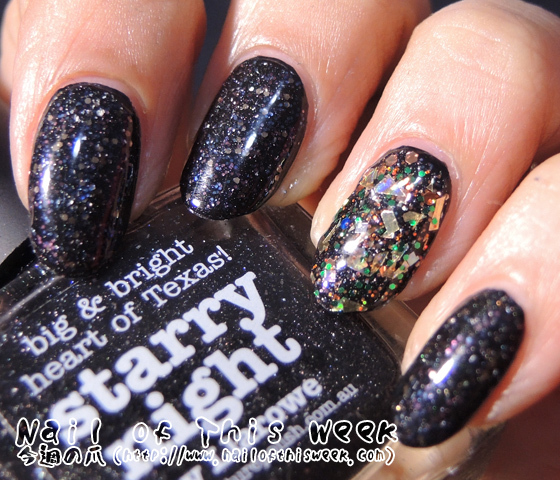 First, I’m NOT a glitter bomb lover - this is OFFICIAL, yes - so I don’t own so much “glitter overload” polishes, and second, I again had to think about a color. 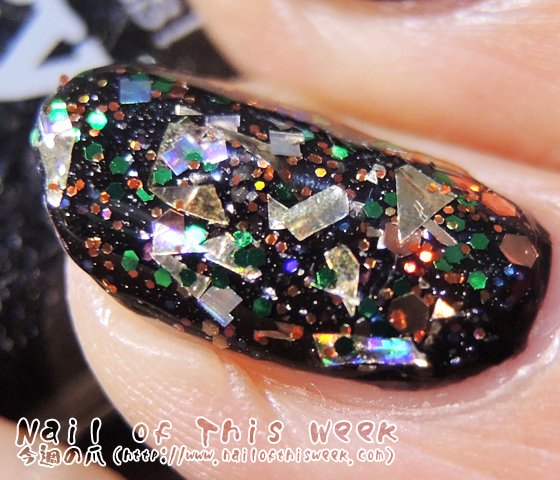 Something not overlapping with further theme, and what I can do with polishes in my stash…and now it’s here! 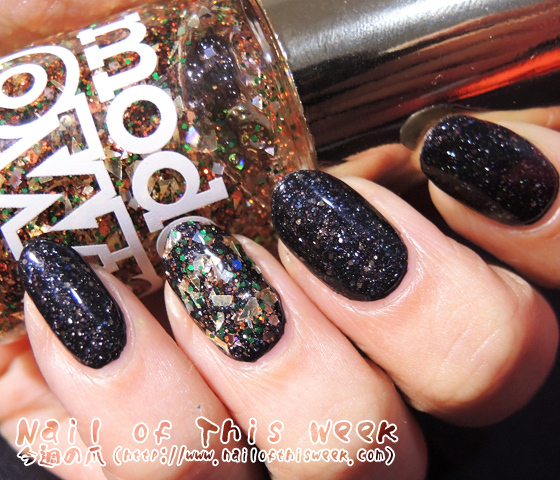 My goodness, this is the most awesome mani EVER! Oooooooooooooh no no no that's too much yours is also super awesome!! Such a gorgeous layering! 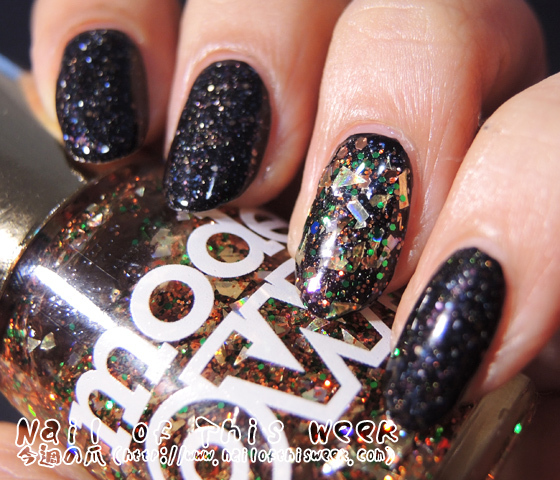 I love Disco Inferno too and you actually inspired me so I used it in my red and gold mani. Love your nail shape, btw. It's so funny to say that I first thought of layering with glittering garland then found YOURS which stopped me to do it :P But therefore your comment means a lot for me, thank you Mihaela! !